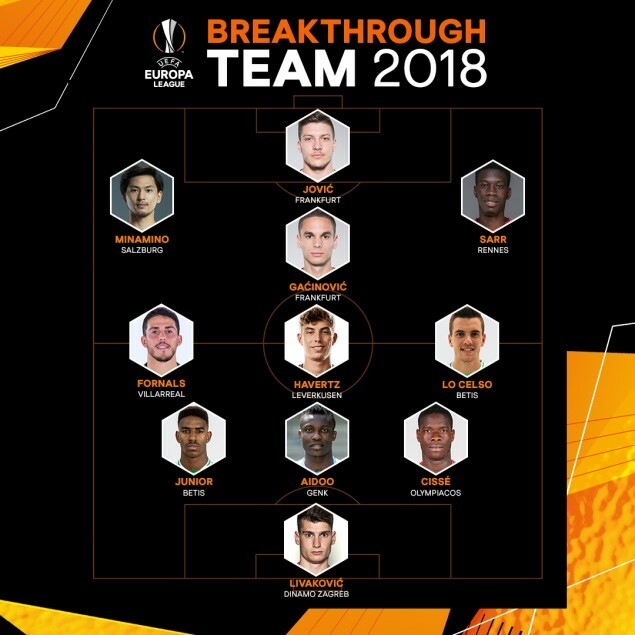 In a boost to his promising career, Benfica goalkeeper Odysseas Vlachodimos has been included in the Breakthrough Team of the UEFA Champions League in 2018, while Olympiacos defender Pape Abou Cisse is in the Breakthrough Team of the UEFA Europa League. After transferring to Benfica from Panathinaikos in the summer, 24-year old Vlachodimos has rapidly progressed, becoming the number one goalkeeper for the Portuguese giants and breaking into the Greek national team. This season, Vlachodimos participated in all 10 UEFA Champions League matches with Benfica (four qualifiers, six group stages games), conceding 14 goals along the way and tallying two clean sheets. Vlachodimos was a big reason why Benfica finished in third place ahead of AEK with his excellent performances in Group E.
In the UEFA Europa League, Olympiacos centre-back Pape Abou Cisse has caught the eye, impressing enough to earn a spot in the tournament’s Breakthrough Team of the Year. 23-year old Senegalese international Cisse has emerged as the leader of the Olympiacos defence, and in six Europa League appearances (one in the qualifiers, five in the group stage), the centre-back was a reliable figure as the Erythrolefkoi qualified for the Last 32 from Group F. In the decisive group game against AC Milan, Cisse popped up with a crucial goal, opening the scoring with Olympiacos triumphing 3:1.